A recently renovated Portland bungalow needed a vertical solution to move from the main floor to the attic loft space. 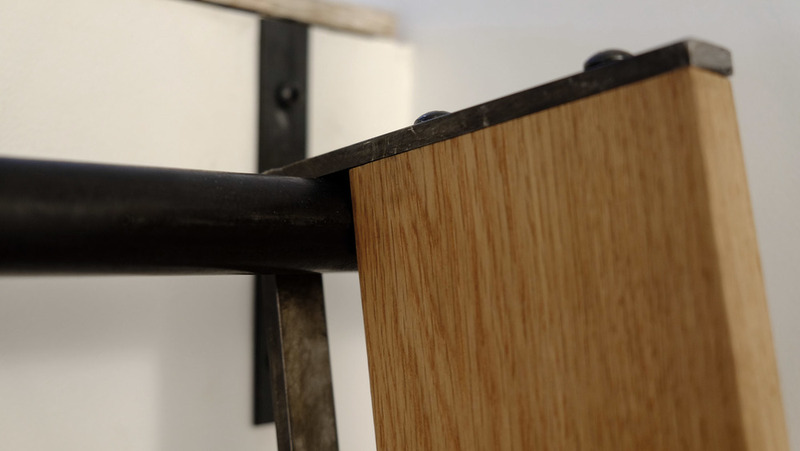 Working with the clients I designed and fabricated a minimalist white oak ladder with blackened steel components that solves their issue. The design uses traditional and contemporary joinery to create a ladder that can retain clean lines while maximizing strength and resiliency. 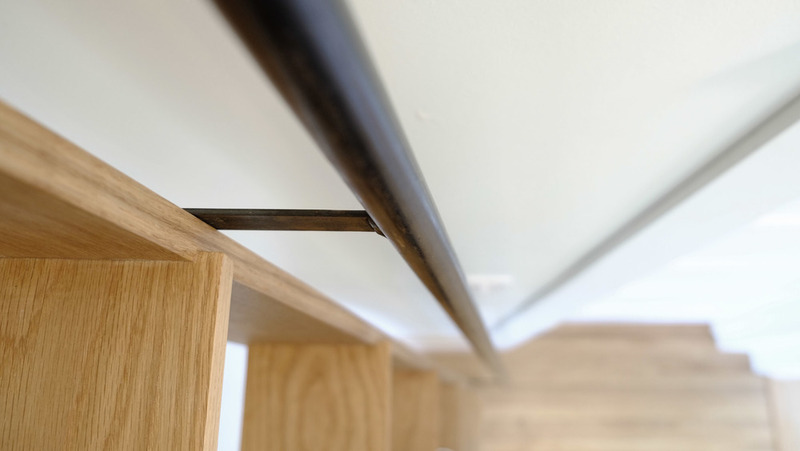 When not in use the brackets at the top allow the user to move the ladder into a vertical (against the wall) position to maximize usable space in the house.